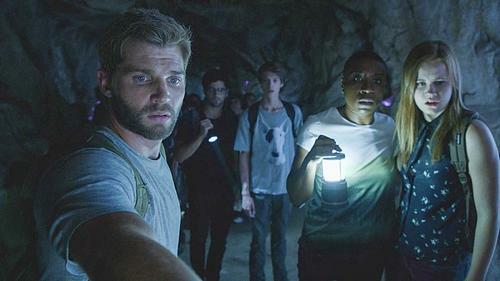 I'm killing time watching a DVRd episode of Under the Dome and to be honest, I do not know why? Since the show drifted off and past the source material, it has been stretching hard to fill episodic time with alien egg story. -We have mindless zombiness taking over the townspeople. -We have puffy-lipped Helgenberg seemingly controlling people. -We have Barbie offering first aid because he did lots of it in an alternate reality. -We have government people experimenting on everyone. And other nonsensical crap that they're pulling out of some weird hat they found in some closet somewhere. Seriously... pull this crap! Actually, the show is hitting an all-time low for its TV ratings and I am not surprised. But as a tease to keep people around, their panel at SDCC, they said ALL QUESTIONS will be answered. But people are not buying it. When season three premiered, they pulled in just over six million viewers, which was down 34% from the previous year. Now they're barely pulling in five million viewers. The numbers are saying it all... the producers have blown it and the show has had its time. Now it is time for it to go along its way. Under the Dome is under the gun and under the performance hopes by advertisers.